Costuming Drama: 1/2 way bound! 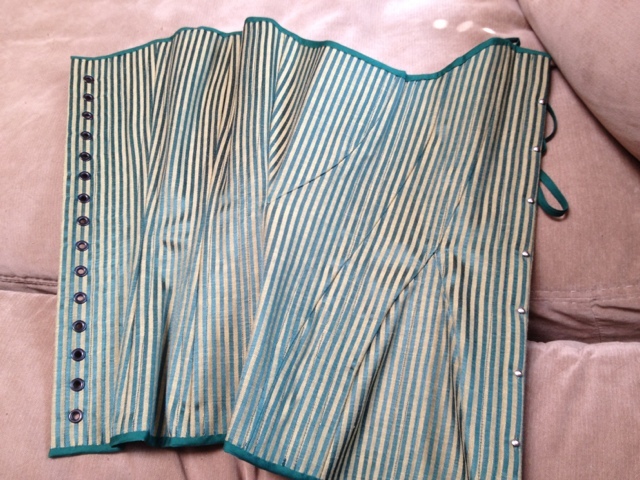 I am mostly posting this because I wanted to see about posting from my phone, but I also did bind another 1/4 of the corset on my lunch hour. Go me! A Few Pictures from the Titanic event! As of 8:00 PM, my dress was done! I am taking the night off! Much Dress Progress, still no dress.